Here it is – our second published article in August! 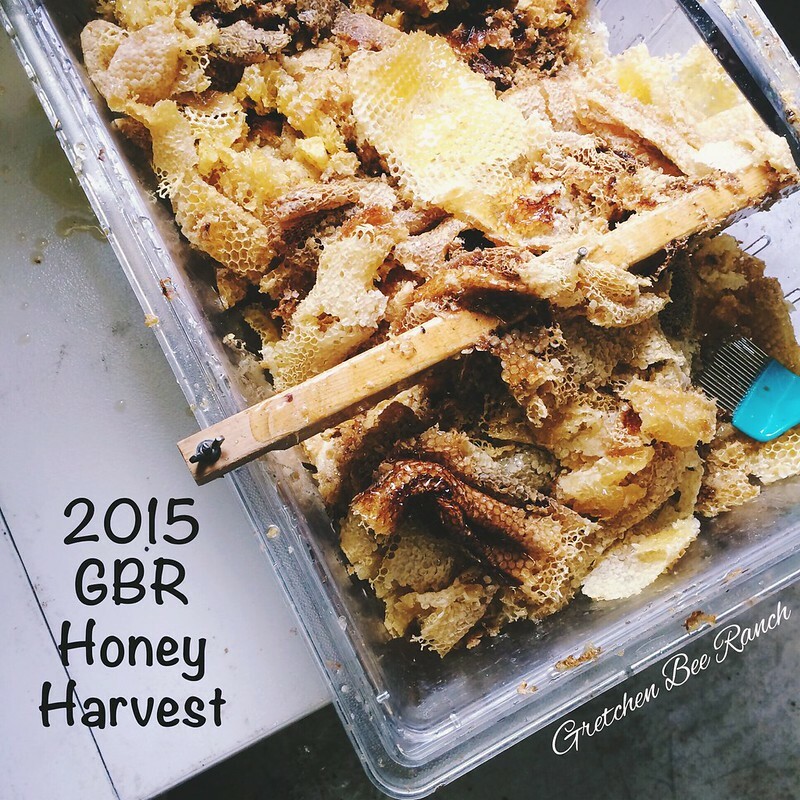 Wow, it’s as exciting as the fact that the bees are still making honey into August. 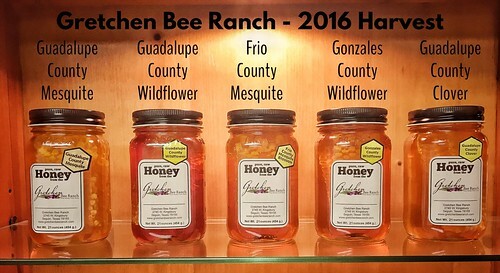 We still have bees in Comanche making some honey. Crazy but good year! Back to the article. 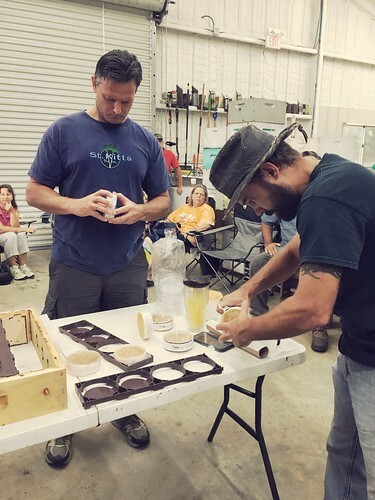 We met these two wonderful gentlemen at the Pearl Farmers Market back in June I believe and we really enjoyed learning about their plans for a new publication with a focus on the true producers of Texas, whether farming or ranching. 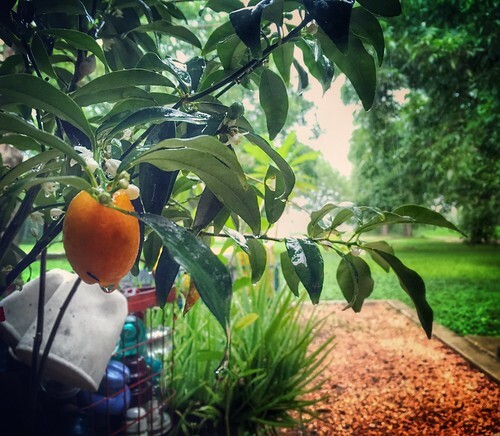 Even on a Bee Ranch. 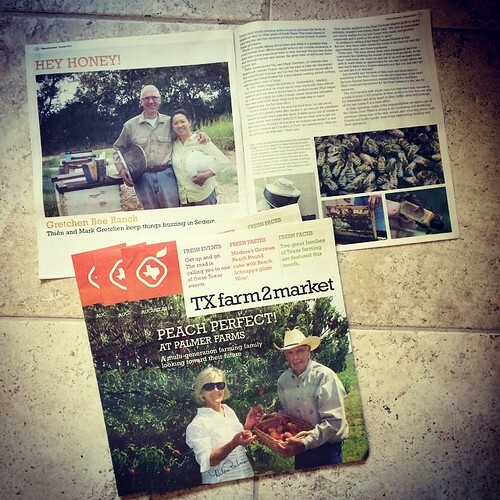 We are so happy to be in the first issue of TXfarm2market and we hope you will make some time to read it in support of the publication as well as our fellow Pearl Farmers Market vendor, the Palmers of Palmer Farms. Thank you, Ernie, for taking the time to visit with us at market as well as driving out to Seguin to see the Bee Ranch – it was fun! Click here to see the first issue. 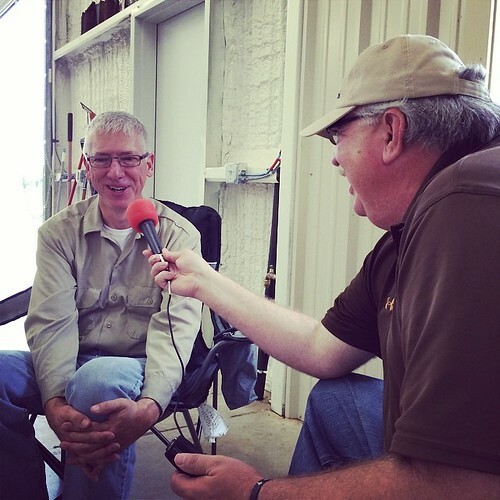 Below is a shot of Ernie interviewing Mark at the Bee Ranch. 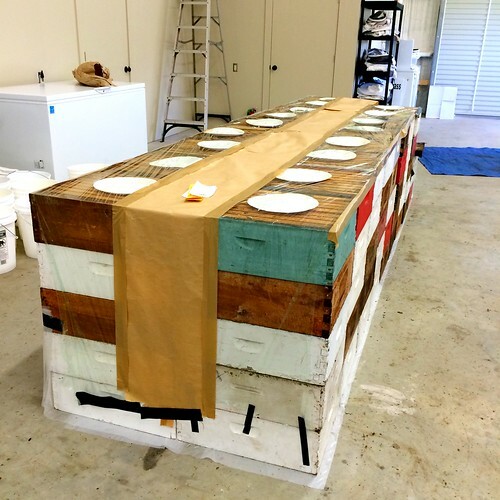 As we wrap up the last of honey being produced, there’s a lot of work to clean and then treat the hives for mites and fumigating with moth crystals to make sure we kill any wax moth larvae that might be on the frames. With three-digit heat indices, the men are usually pretty exhausted by the time they call it a day. Actually some days, lunch time brings me two very pooped men and I feel for them when they often head back out after lunch. Sometimes they can catch a break with work in the Candle Shop and when they do, I come home to beautiful candles. I love seeing what they do at the end of the day and hearing about it over dinner. Here’s a shot I took one afternoon when they starting hand-dipping sweet little tapers. 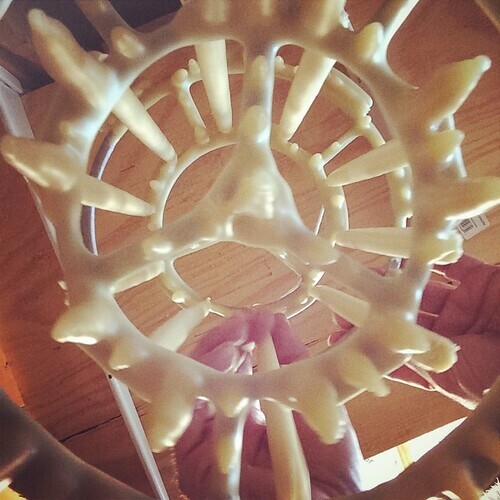 I shot this one holding my camera under the rack and just above the hot beeswax. A little bit nervous but glad I got the shot. 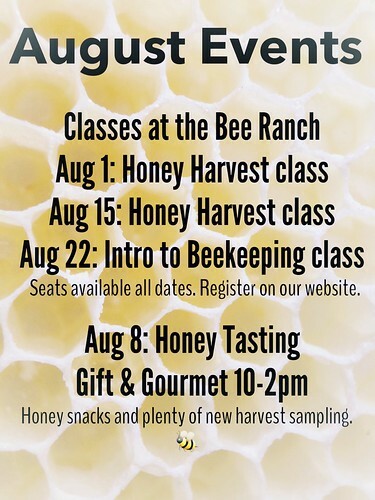 Before I close, I want to mention that our bee classes are kicking back up next month! Nice to think that some slightly less sweltering heat is right around the corner (really it is!). If you are interested or know anyone who would like to come visit us for a class, then please check out our website for more information. 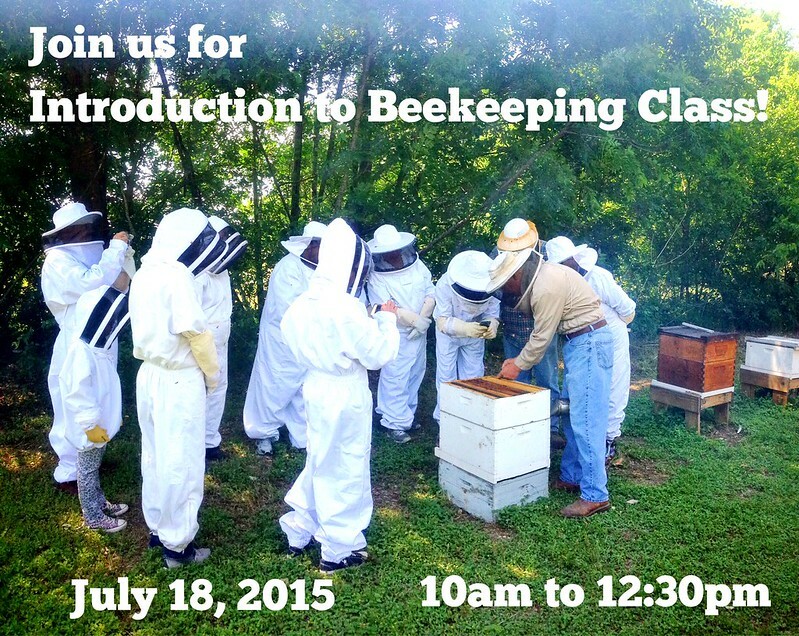 Who’s ready to look at some bees with my beekeeper? Well, it took a several hours but I finally finished loading, editing, sorting and then Flickr loading most of the 285 photos I took this past Saturday during our big class and nucleus hive pick up event. Wow, what a day! We spent most of the week preparing and stressing a bit but once the class actually started, it was all worth it. 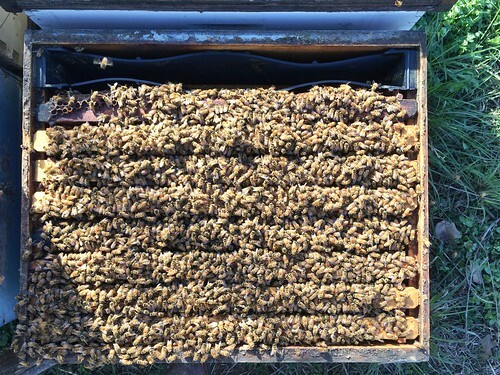 I thought David and Mark did a great job for their first advance topic class – How to Build Up Your Hive in the Spring. We had twenty-four students and the class ran from 9:00 a.m. to about 12:45 p.m. 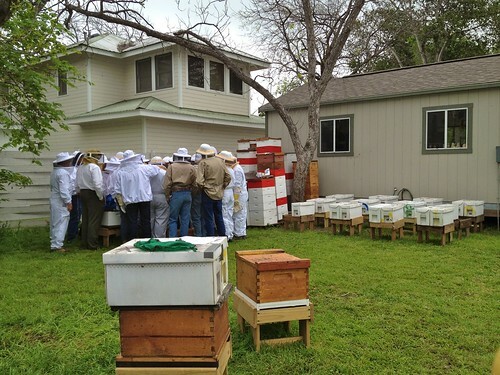 It was past 1:00 p.m. by the time the last student and nuc hive left the Bee Ranch. It was tiring but fun and we sure are happy we have great partners in David and Jessica. David and Mark were already talking about how to tighten up their class outline for the April 21 class. I don’t even think we had a chance to eat lunch yet and they were already looking to the future class. 🙂 That’s how I know they love what they are doing. I love watching them work in the bee yards and I sure enjoyed watching and listening to them engaging with all our new beekeepers. I am so proud to work with them and with Jessica. Without her, I think I really would have been a mess Saturday. She worked the registration and payment table with me and pretty much kept order to things. I think if it was possible for me to socialize and take pictures, I’d be happy as a bee on a Bluebonnet. 🙂 I had the Nikon as well as my iPhone 4s, which has a 8 megapixel camera. A good thing since my Nikon started acting up and decided to stop working halfway through the class. Maybe it was the humidity. I don’t know for sure but I took it inside and later that day, it worked fine. Hmm. I probably should have kept it in the big Ziploc bag I had for it since it was slightly misty that morning. 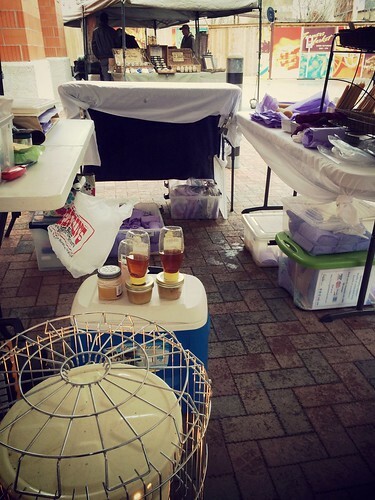 Oh well, I had many little lessons learned to take away from Saturday and like the beekeepers, I will need to tighten up my own activities for the class in April. Man, we keep learning so much each day and each event we have. 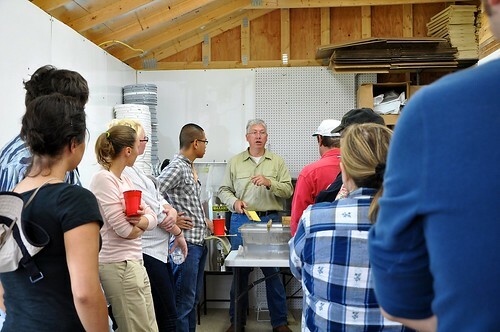 The class consisted of lecture, open discussion, constant question/answer, demonstrations and hands-on opportunities. 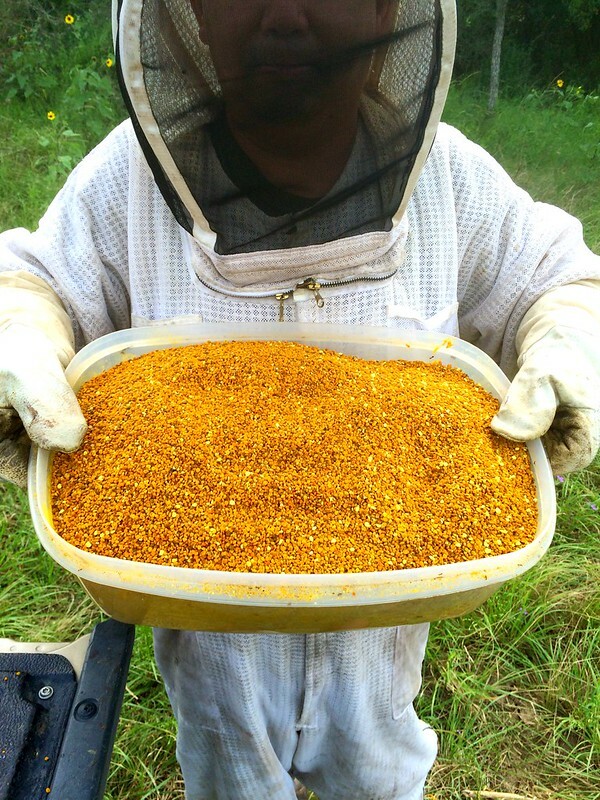 There was smoker lighting and extinguishing, opening a hive and reading it for good and bad signs, identifying different bees, installing the nucleus hives (which the beekeepers had to do once they got their bees home that day), mixing feed, applying medicine, and the list goes on. A lot to cover in three hours but everyone seemed happy to be there learning. 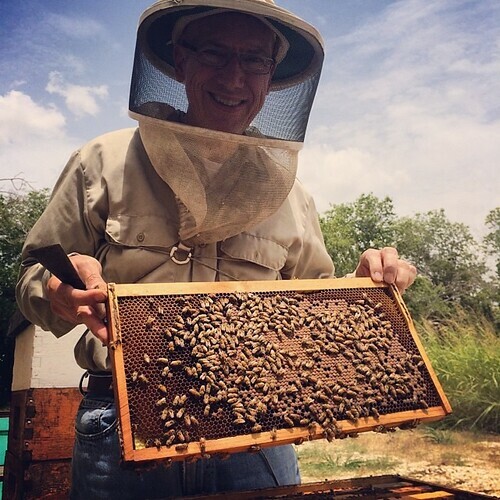 Most have been doing extra reading in order to prepare for their new bees, which indicates to us they are serious about their new endeavor and that makes us so happy. 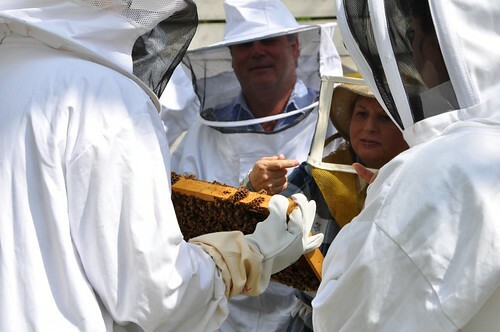 We are just really impressed with how much they all already look like beekeepers – they handled the frames just great and they were quite at ease throughout the morning. 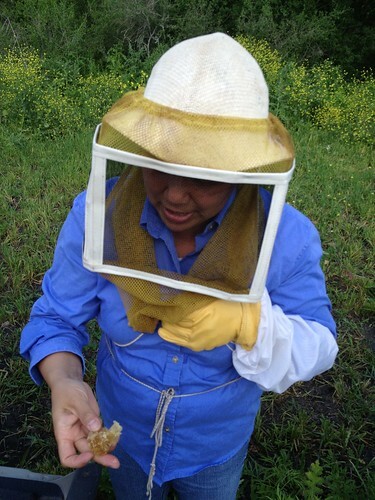 We can’t wait to see how they progress with their bees and we hope they keep us posted. Did I mention we were actually missing the bees by the evening. It was sort of funny because we felt like parents whose children had been adopted by other families. I know. 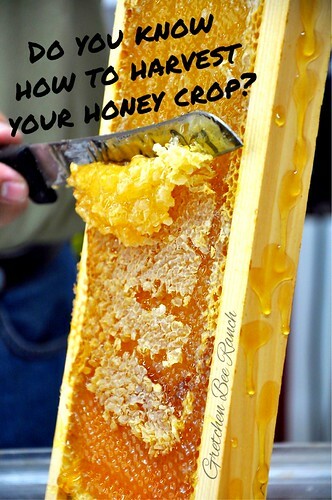 We’re so hooked for life on beekeeping. 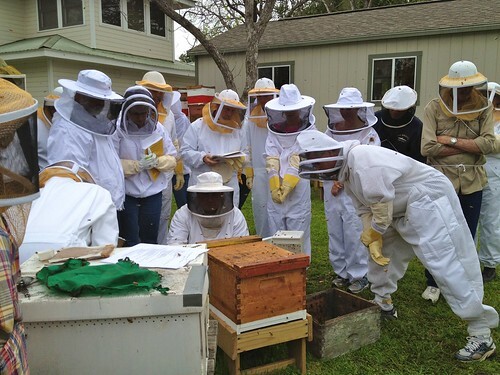 We’re just happy we now have another twenty-something new beekeepers to keep us company! Hope you all enjoy your beeventures!